Farhan Ahmad was a joint B.S. /M.D. candidate at The University of Texas at San Antonio with interests in public health, policy, and neuroethics. He was the co-founder of VideoMed, a project dedicated to providing free mental health care to the homeless, which is featured on Xconomy, Fox, and NPR affiliates. 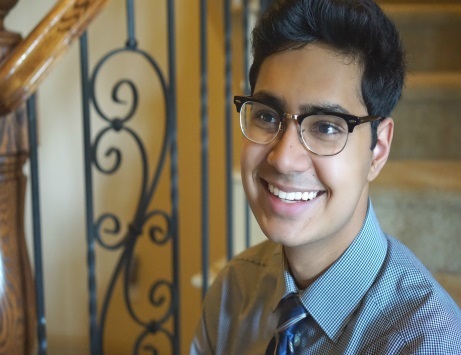 Farhan has also led his work on Alzheimer’s disease at the United Nations General Assembly and collaborated with NGOs to develop student-led global health projects in Peru.